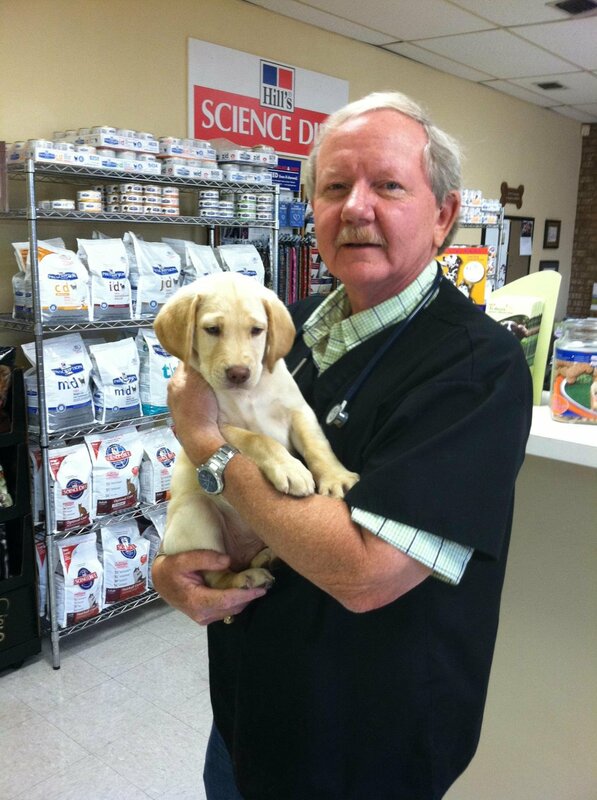 Dr. Doug Riley is a third generation Veterinarian. 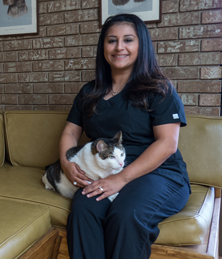 He spent his early years growing up in his father’s veterinary clinic in Minnesota and then when his family moved to Texas in 1963, in his father’s practice in the Ridgmar area of Fort Worth. He obtained is BS in Veterinary Science in 1976 and received his Doctor of Veterinary Medicine from A&M University in 1977. Upon graduation he re-located to North Dakota where he practiced small and large veterinary medicine in both North Dakota and Minnesota. In 1978 Dr. Riley returned to Texas where, along with his father, Dr. Chuck Riley and his business partner Dr. Wes Maxwell, established the Animal Hospital and Clinic of Arlington. Since then Dr. Riley has been serving Arlington and the surrounding areas for over 40 years. Dr. Riley enjoys playing golf, traveling and is an avid sportsman. He and his wife Georgia have 4 children, 7 grandchildren and a beautiful lab named Dexter. Dr. Kevin Buchanan or “Dr. B” as friends and clients know him, graduated from Oklahoma State University in 1988 with a Doctor of Veterinary Medicine degree. Shortly thereafter he began his veterinary career in a mixed animal practice in Stephenville, Texas. He then opened his own mixed animal practice in Lipan, Texas where he worked from 1989 until early 2000. 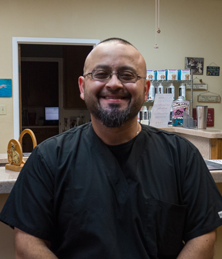 In February of 2000 he built and opened a new small animal hospital in Weatherford where he practiced until he sold in 2015. 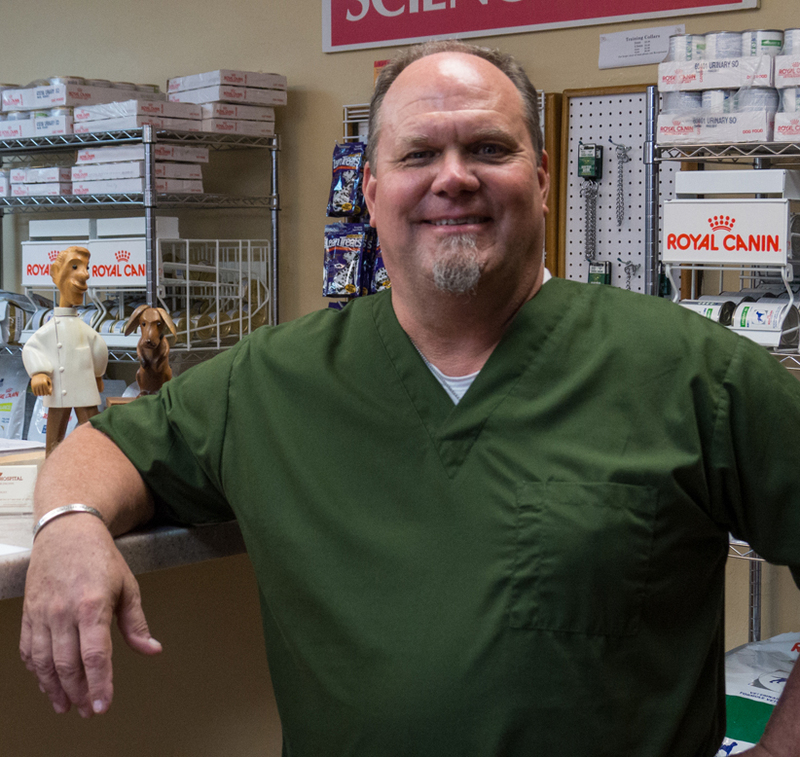 AHCA has been fortunate to have Dr. B since 2016, he provides veterinary surgical and care services every Wednesday and serves as relief vet as needed. Dr. B and his high school sweetheart Cheli have been married since 1982. He and his wife have a son, named Colton. They share their home with multiple rescues including 7 dogs, 1 indoor cat, 3 barn cats and 2 horses. They are both founding members of the Kowboy Krewe Foundation which is a group that was formed to help and support others in unexpected times of need. They completely restored their vintage 1962 streamline aluminum camper “Duchess” and enjoy camping and spending time together lounging with their fur babies. Dr. B’s other hobbies include riding his motorcycle, and golfing. The “Jake of all trades” since 2003. He is one of the two lead technicians supervising staff and assisting the Veterinarians with examinations and surgeries. He and his wife have 2 children and 2 cats. They stay busy with sports and enjoy having family fun together. Beginning her association with the practice as a client over 30 years ago. 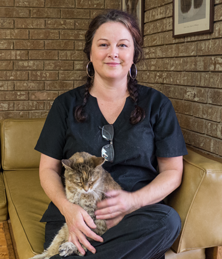 In 2000, she began working at the clinic as needed. 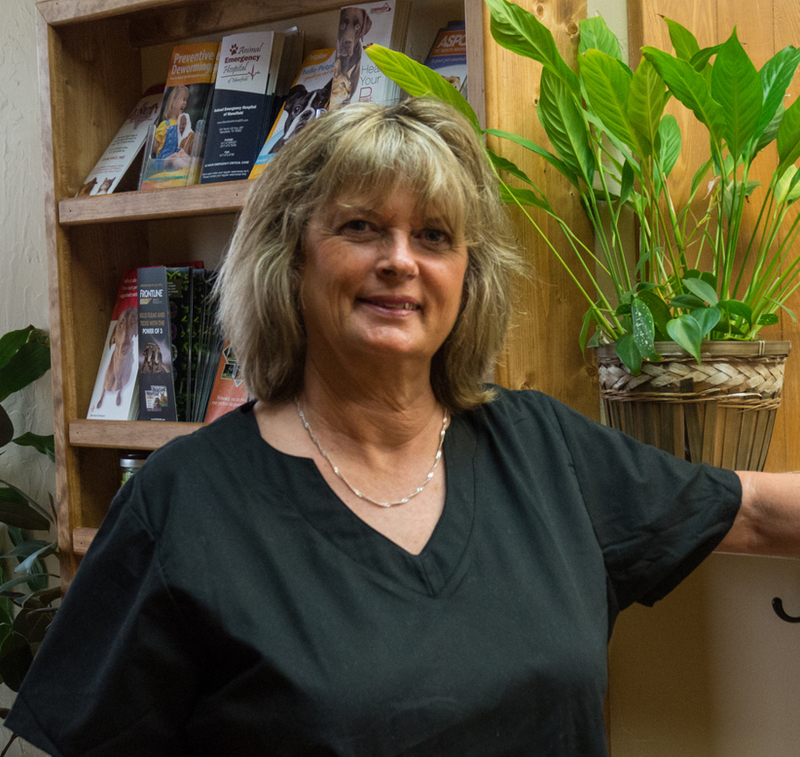 Throughout the years she has worked in all areas of the clinic. Currently she is one of the two lead technicians supervising staff and overseeing the daily operation of the clinic. Cyndy has two spoiled rotten dogs that consume much of her personal time. Our newest team member, is always ready to help and learn. She joined the team in 2017 as our front desk receptionist in the afternoons. Her responsibilities quickly expanded to include examination and surgery assistance, as well as lab processing. She has 2 children and an active beagle puppy, life hasn’t been better. As Dr. Riley’s wife, she has been associated with the practice for several years. However, in 2015, she retired after 36 years in the financial services industry and took a more active role within the clinic. Dr. Riley will tell you she has taken a more active role on how to spend money! That is evidenced by the renovation that took place this year to update the lobby waiting area and front desk. She has also taken on many of the Human Resources responsibilities, as well as payroll. She has been an employee of the clinic since 2016. 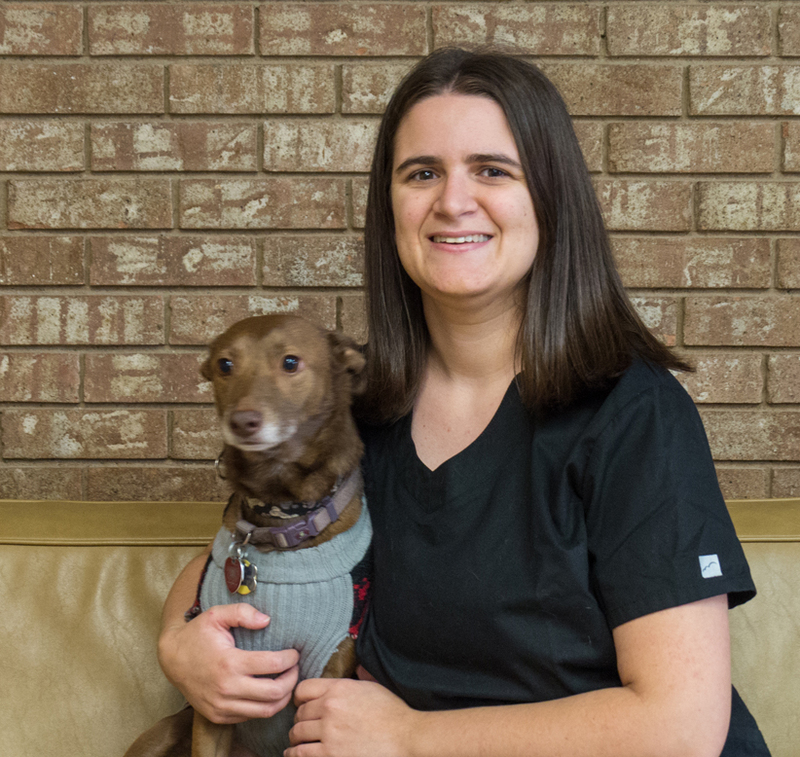 Her responsibilities include assistance with examinations and surgery, lab processing, as well as maintaining the kennels. Janay has been a longtime volunteer and fosters many pets waiting for their “fur-ever” home with Trinity GAP Rescue. Animals of all shapes and sizes are her passion. She enjoys spending time with her 2 dogs and 1 cat.